For many, the thought of them sends shivers down the spine and it’s the one pest most people cannot stand sharing their environment with. Australia’s most poisonous spiders include the Sydney Funnel Web Spider, the Northern Rivers Funnel Web Spider, Redback Spiders, the Mouse Spider, Wolf Spiders, the Black House Spider and the White-tailed Spider. 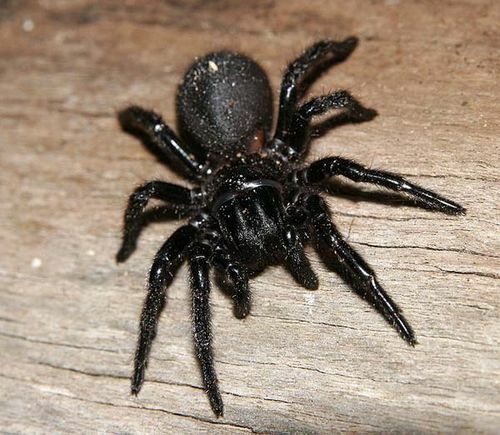 Not So Fun Fact: In Summer and in wet weather, male Funnel Web Spiders can wander indoors in search of a mate. The male is more venomous than the female. Bite humans and pets which can cause pain and even death. Luckily deaths are rare in Australia although there are many documented cases of people becoming very sick after being bitten by one of our toxic Spiders. Cause panic and alarm particularly around children or people that suffer from arachnophobia (a fear of spiders). Call Jim’s Termite & Pest Control now and we’ll work with you to control your Spider Problem – Guaranteed! Setting up a guaranteed treatment to control spiders in a building and advise how you can help reduce future problems. Inspect the property – and identify areas of concern. Surface Spray – apply a surface spray that is licensed and formulated for spider control. This would be to walls and paths, gutters and baseboards and soffits. Clean up – avoid leaving toys out overnight. A spider may use these as a nest. Get a Free Spider Control Quote now – Call Jim’s Pest Control on 131 546 or Book Online 24/7 here. Had pest control out for spiders, excellent service, quick to return call after ringing main line, happy to answer any questions. Adam did an excellent job in side and out and explained everything in detail. Great work highly recommended. Job well done!